This deck brought me to my first time Legend Been using it at rank 1-2 with an 11-3 record. I played sorcerers in the past but this... this is so well rounded, seems to have all the answers at the right time. Pushing early damage or trading for value with surprise wards, this deck can do either very effectively. 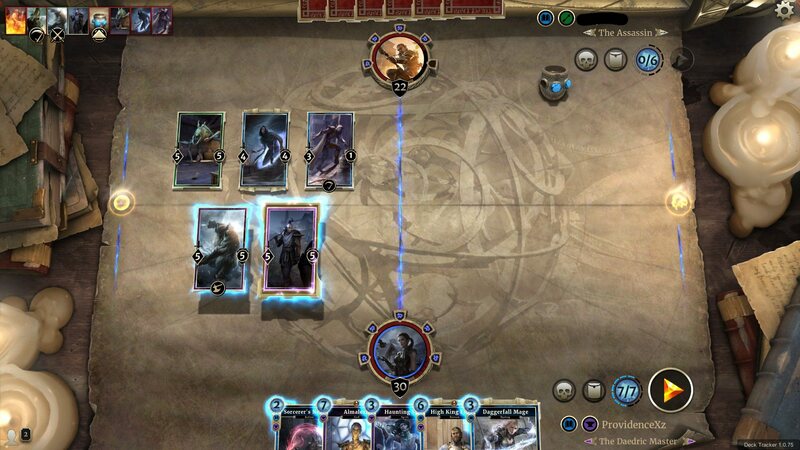 Even managed to trigger the Almalexia - Ordinator combo a few times for a grand victory (lost Almalexia many more times to the ever present deathpriest though but that's alright, she's just the icing in this deck). As someone else suggested, her disciple is totally worth the inclusion. Thanks for the list, it was lots of fun playing with it! Thoughts on adding a 1-2 of Tel Vos Magister? It can straight up win games against aggro decks or race situations. I currently have almost the same deck without Nahagliiv and just 1 copy of Tel Vos. I've thought of it and mentioned it in the writeup. And in theory it will help a lot against other midrange decks. My concern is that it does very little things against token based aggro, like the prevalent hlaalu at the moment. But yes it is very playable in this deck.